Since the advent of moving pictures, there's been a considerable amount of traffic back and forth between New York theater and Hollywood movies. That tradition continues to this day, as evidenced by the recently announced nominations for the 89th Academy Awards. It's no surprise that Broadway and Off-Broadway frequently feature some of the best performers and writers of any given age. And over the years, many artists have found success in both the theatrical and cinematic spheres. But theater isn't as close to the center of American culture as it has been in the past. So, it's hard not to think about this year's nominations as a validation of the great work that theater folk do, after so many years of feeling culturally marginalized. Here's a sampling of this year's Oscar nominees with Broadway and Off-Broadway ties. The big story at this year's Oscar nominations was the romantic musical comedy La La Land, which received a record-tying 14 nominations, including one for best picture. It used to be that a year couldn't go by without a musical garnering an Oscar nod, but movie musicals sort of disappeared for about 30 years. Then, when Chicago snagged the Best Picture Oscar in 2002, suddenly film musicals were back in vogue. La La Land seems even more remarkable, as it was written directly for the screen, as opposed to adapted from a pre-existing Broadway musical. This provided Broadway's rising stars, composer/lyricists, Benj Hasek and Justin Paul, with the opportunity to snag two Oscar nods for writing the lyrics (to music by Justin Hurwitz) for the songs "Audition ('The Fools Who Dream')" and "City of Stars." Pasek and Paul are also currently represented on Broadway by the hottest ticket of the season so far, the heartrending Dear Evan Hansen. Also from La La Land, Emma Stone garnered a nomination for Best Actress. Stone made her Broadway debut in the 2014 revival (of the 1998 revival) of Cabaret, receiving very strong notices in the process. For theater fans, one of the biggest stories to emerge from this year's Oscar nods is the fact that wonder boy Lin-Manuel Miranda has a chance to earn that most coveted of distinctions, the EGOT (Emmy, Grammy, Oscar, Tony). Miranda has won numerous Tonys, most notably for the smash hit Hamilton. 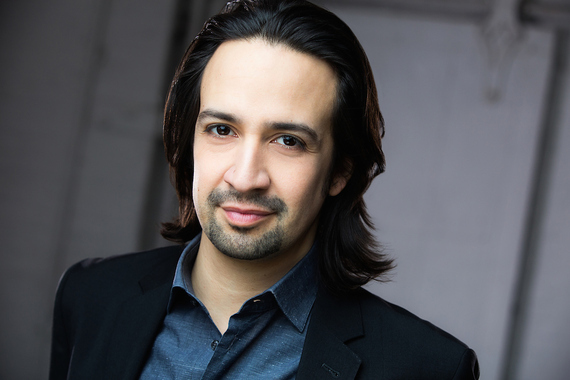 He also won Grammys for the cast recordings of both Hamilton and In the Heights. He even snagged an Emmy writing music and lyrics for the 67th Annual Tony Awards. All that leaves is the Oscar, and Miranda seems a very strong contender indeed for his song "How Far I'll Go," from the Disney hit, Moana. One major point of theatrical interest this year is the film adaptation of August Wilson's Tony- and Pulitzer Prize-winning Fences. Even though Wilson passed away in 2005, he nonetheless received an Oscar nomination for Best Adapted Screenplay. Wilson is enjoying a good deal of interest this year, as his 1982 play Jitney is currently making its first Broadway appearance. Also from Fences, we have Oscar nods for Best Actor for Denzel Washington, who was last on Broadway in Raisin in the Sun, 2014, as well as Best Actress in a Supporting Role for Viola Davis, two-time Tony winner for King Hedley II and the 2010 revival of Fences. Another esteemed playwright who received a lot of Oscar love this year was Kenneth Lonergan, who received Best Director and Best Adapted Screenplay nominations for his Manchester by the Sea. Lonergan was recently featured on Broadway in a revival of his 1996 play, This Is Our Youth. Recognized for their acting in Manchester By the Sea were Michelle Williams, who was Tony nominated for her remarkable turn in the harrowing Blackbird in 2016, and Lucas Hedges, who is currently appearing in the MCC Theater production of Anna Jordan's Yen. Other Oscar-nominated actors with a theater pedigree include Michael Shannon for Best Actor in a Supporting role in Nocturnal Animals. Shannon was a Tony nominee last season for his crackling performance in the smashing Broadway revival of Long Day's Journey Into Night. Andrew Garfield, a Best Actor nominee for Hacksaw Ridge, was seen on Broadway in the 2012 revival of Death of a Salesman. In the not-so-recently-on-Broadway department, we have Natalie Portman, Best Actress nominee for Jackie, who made what is so far her only appearance on Broadway in the 1998 revival of The Diary of Anne Frank. Nicole Kidman, who has also only graced Broadway once, also in 1998 in The Blue Room, is likewise nominated this year as Best Actress for Lion. And finally, perennial Oscar nominee Meryl Streep picked up a record-breaking 20th nomination this year for Florence Foster Jenkins. Although La Streep is rightly considered one of the best, if not the best, actor currently living, it's a bit surprising that she hasn't appeared on Broadway since 1977 in Happy End. (She has, however, appeared in a number of Off-Broadway productions, including Mother Courage and Her Children as part of The Public Theater's free series of productions in Central Park.) I know I'm not the only one hoping that she deigns to grace Broadway with her presence again sometime very soon. Christopher Caggiano writes for ZEALnyc about theater performance and related topics. Celebrate Winter with Festivals in Canada!